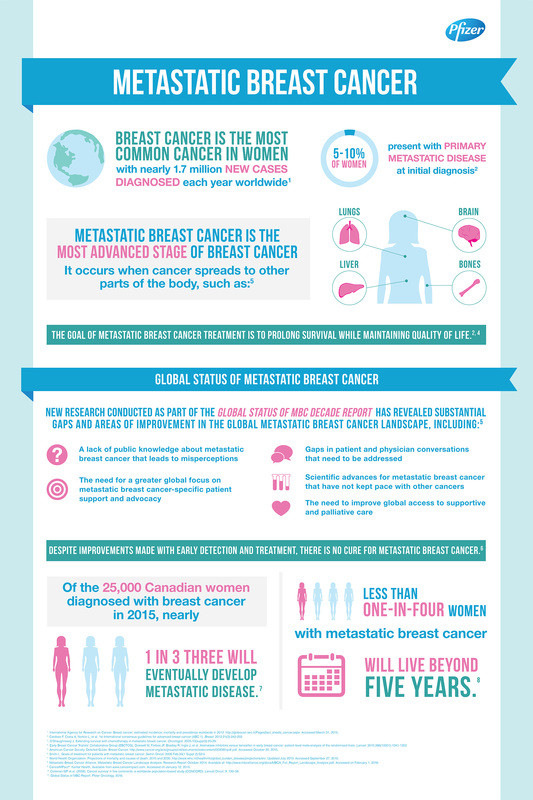 Metastatic breast cancer is a deadly and debilitating disease, with fewer than one-in-four women diagnosed who will live beyond five years.1 The good news is that important treatment advancements are being made, providing Canadian women with more options to treat this disease. 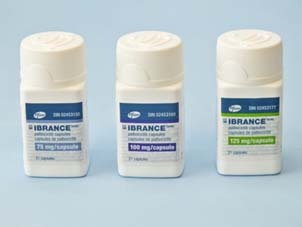 The Health Canada approval of IBRANCE is based on the final results of the Phase 2 PALOMA-1/TRIO 18 trial (n=165), which studied whether IBRANCE in combination with letrozole prolonged progression-free survival (PFS) compared with letrozole alone in postmenopausal women with ER-positive, HER2-negative locally advanced or mBC who had not received previous systemic treatment for their advanced disease.2 The Health Canada approval of IBRANCE is contingent upon verification and description of clinical benefit in a confirmatory trial. 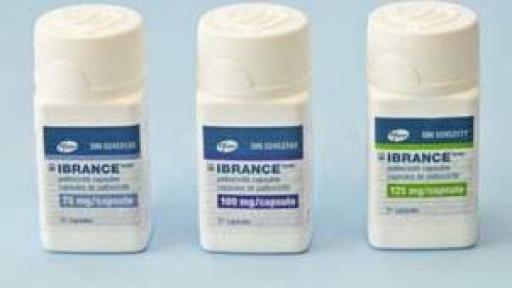 IBRANCE has been studied extensively in Canada for use in mBC. In fact, 114 patients at more than 27 Canadian centres have participated in clinical trials to date.8 Participation in other Canadian clinical trials will continue on an ongoing basis. 1 Canadian Cancer Society. Survival Statistics for Breast Cancer. Available at: http://www.cancer.ca/en/cancer-information/cancer-type/breast/prognosis-and-survival/survival-statistics/?region=on. Accessed April 7, 2016. 2 IBRANCE. Product Monograph. March 15, 2016. 3 Metastatic Breast Cancer Network. 13 Facts Everyone Should Know about Metastatic Breast Cancer. Available at: http://mbcn.org/developing-awareness/category/13-things-everyone-should-know-about-metastatic-breast-cancer. Accessed April 5, 2016. 4 Canadian Partnership Against Cancer. Breast Cancer Control in Canada: A System Performance Special Focus Report. September 2012. Available at: http://www.cancerview.ca/idc/groups/public/documents/webcontent/breast_cancer_control_rep.pdf. Accessed April 4, 2016. 5 Canadian Breast Cancer Foundation. 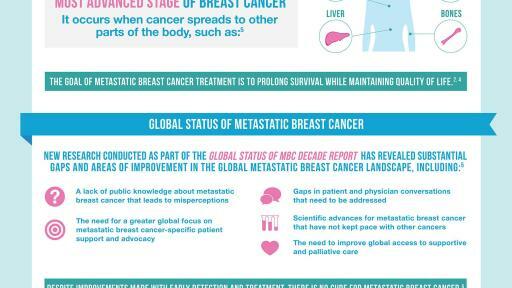 Metastatic Breast Cancer. Available at: http://www.cbcf.org/central/AboutBreastCancerMain/MetastaticBreastCancer/Pages/Metastatic-Breast-Cancer.aspx. Accessed March 31, 2016. 6 Pfizer Oncology. Breast cancer: A story half told. Available at http://mbcn.org/images/uploads/aStoryHalfTold.pdf. Accessed on February 19, 2016. 7 O’Shaughnessy J. Extending survival with chemotherapy in metastatic breast cancer. The Oncologist. 2005: 10(3):20-29. 8 Pfizer data on file.